The company was first established in Montréal (QC) in 1982 and was named Ancestrales by its owner Mr. Richard Viau. At that time, with a team of approximately 50 people, including masons and stone carvers, the main objective of the company was to offer services of masonry. One of the services it offered was the restoration of the stones on old buildings. Ancestrales was the first company in Montréal to be part of “Les Compagnons du Tour de France“ in masonry, thanks to the help of the Mayor of Montréal. The expertise of Ancestrales made it a key partner to the restoration of significant Canadian heritage projects, such as the Shaughnessy house (the actual Canadian Center for Architecture), a one-year project; and the East (wing) of the Parliament of Canada building, a two-year project. In order to expand and improve its technology, Ancestrales opened a manufacture to control its own stone production. 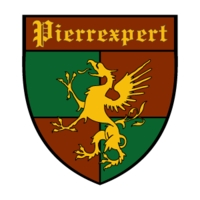 In 1995, it increased its business under a new branch: Pierrexpert. Pierrexpert started as a specialist in cutting and finishing stone products on demand. Just after the turn of the millennium, Pierrexpert decides to expand its manufacture to provide other services in the same field using the CAD Technology for its products. At the same time, to provide a clear sample of its knowledge and expertise in the production of natural stone, Pierrexpert decided to start a 3-year project named “Chateau Dorval”, in Montréal (QC). This project would be used as a physical portfolio for the company. This was a 10.000 sq.ft. mansion made using the traditional stone veneer, inspired in the renaissance art, rich in carvings of handmade sculptures and details. In 2003, Pierrexpert, in collaboration with StoneAdvise System in Europe, came up with a new conceptual technology: StoneAdvise Gluing System. It was developed and used for 10 years on more than 50 different projects. During the same year, Pierrexpert received an award for “construction in excellence” over 4000 sq. ft.. A proof, if it needed one, that this new concept was well received by the customers and the industry in general. We now serve North America from Toronto, Montreal, New York City and Chicago. I am looking for Balustrades, Railings.